The Mainstays 29" Ladder Back Black Barstool will make a wonderful choice for your home. With an appropriate bar height, comfortable full back, and a 360-degree swivel stool seat, it has all the essential features you would want. The cushions are thick and comfortable to sit on while the black metal frame contributes simple elegance. 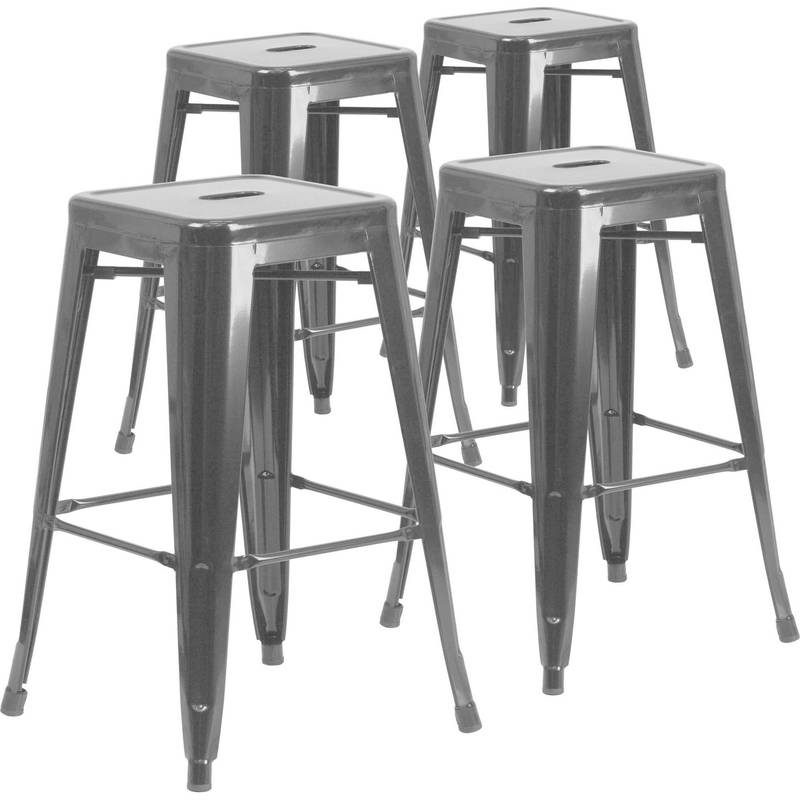 This barstool comes with a set of assembling instructions ensuring ease of assembly and it's sturdy, yet lightweight structure makes it simple and easy to move around your home. The Mainstays 29" Ladder Back Barstool Black Metal Finish comes in two rich cushion colors to best suit your decor. Add this item to contribute individuality and style to your space. Mainstays 29" Ladder Back Black Barstool, Multiple Colors: A.